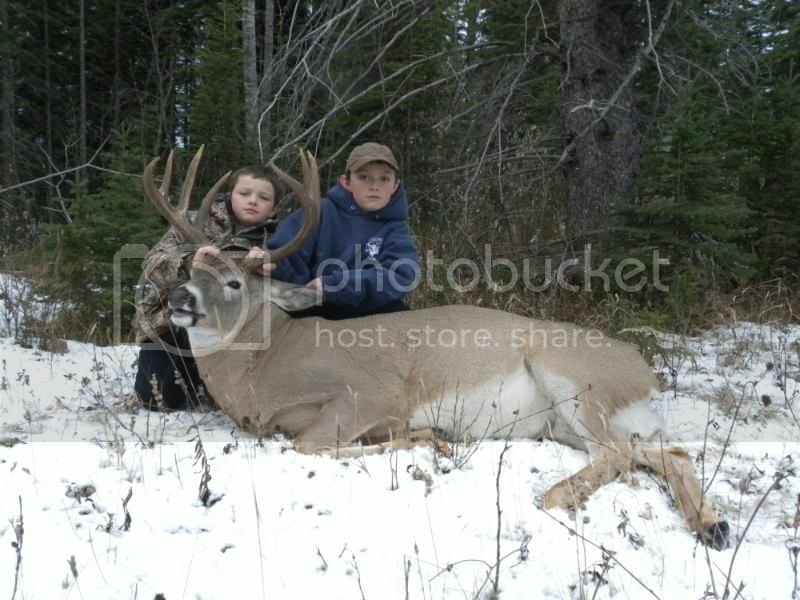 Its awesome to see some youth getting into the great sport of hunting. 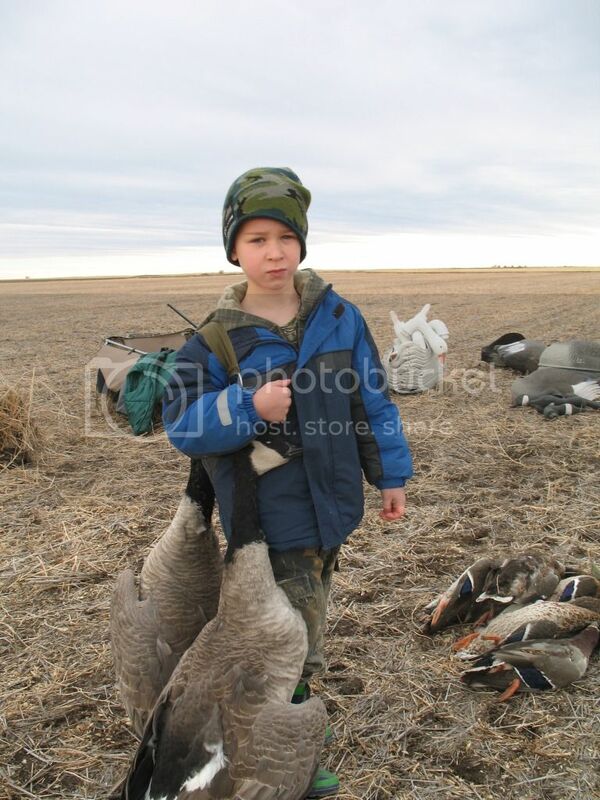 Thought id throw up a thread and get some pics going of our youth in the outdoors. I put this under big game hunting as its more about the hunting side but even just kids in the outdoors will be just fine. Oh and great job to all you parents that take time to get children out there to pass all of this on to them. My hats off to you!!!!!!! And a couple pics to get it rolling, post them up boys and girls!!!! That is great to see I can't wait to get my boy out if he is interested. Good job Dave!!! Cool pics. Nice pics, AlbertaDave! Darcy, my three year old enjoyed this video and your cat one as well. Soon he'll be shooting a real bow,can't wait..
A couple for today to bump the thread back up. So just curious what age did you start bringing your kids out into the field. My son is only 15 months old but definetly plan on taken out with me. 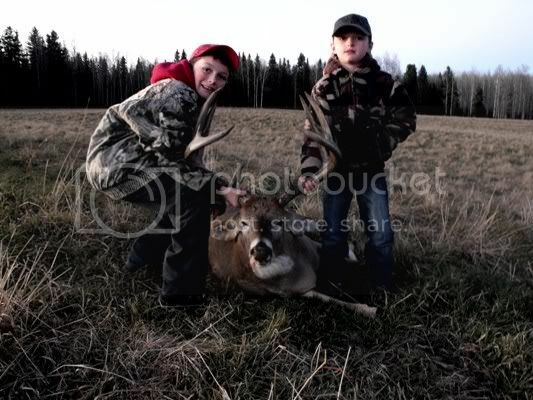 Our kids have always hunted with us. The early years was in the truck and such. Then from when they could walk in the bush up to maybe age 6 they only came occassionally for short walks and such but from then on they want to go every chance they can. My hunts turned from wanting the biggest animal in the woods to them talking me into shooting any deer because they want to be involved in the harvest. 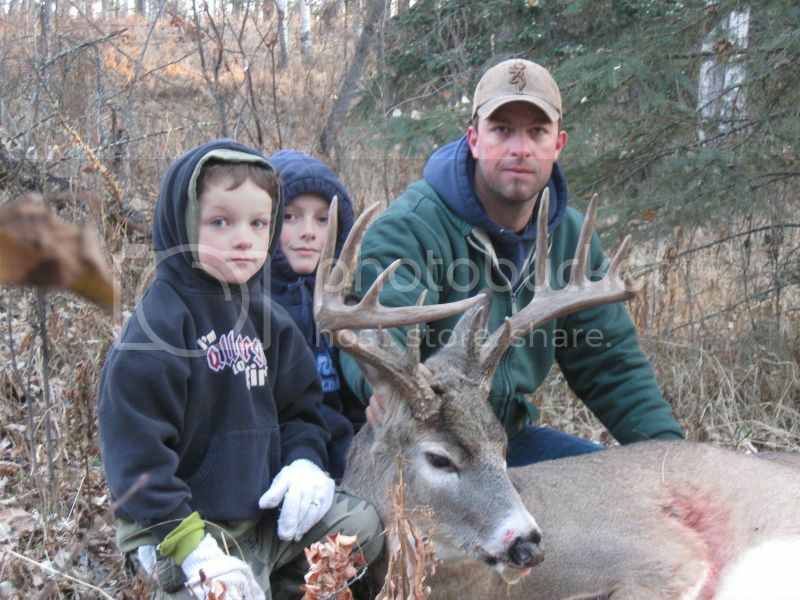 I have a ton of buddies and know many forum guys that are so into the trophy hunt that they dont take the kids on most hunts because it may ruin the hunt. 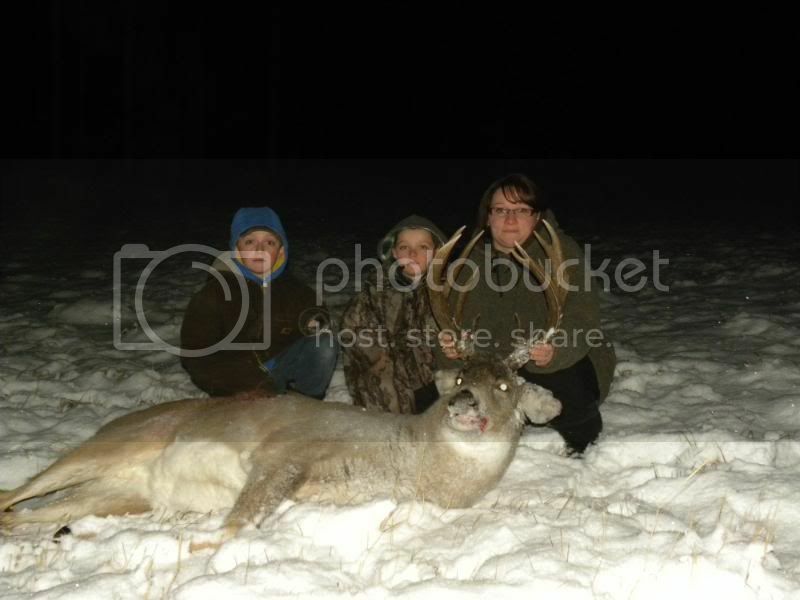 But id far rather shoot a 120" deer with my boys than a 200" by myself. 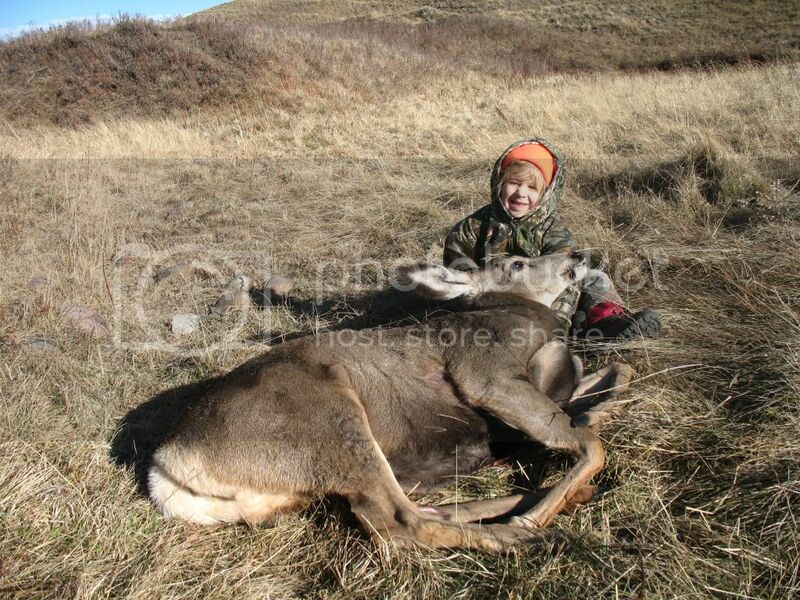 Nothing beats it when them kids get that rush when an animal comes in or you harvest one! Come on I know there are more kid shots out there!! Lets get this rolling!! 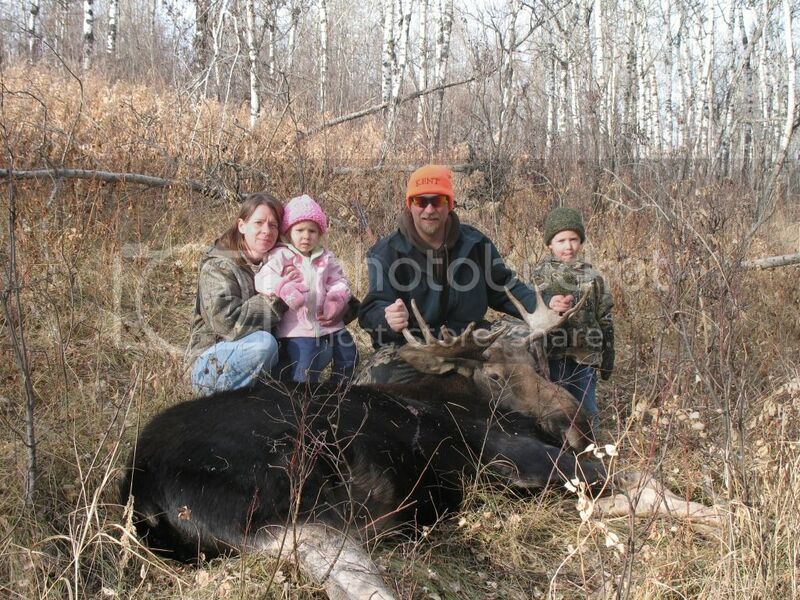 Hopefully I can add some pics after this next weeks Elk hunting with the little rodents! !